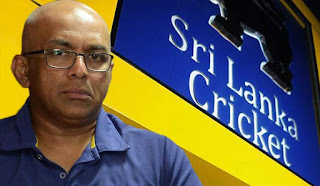 High profile Sri Lankan coach - Chandika Hathurusingha has charged Sri Lankan Cricket Board (SLC) a whopping 60,000 US dollars for his annual statistical and assessment report on the national team, Cricket Age reports. The payment for this report for the year 2018 has been approved by SLC CEO Ashley De Silva, the website adds. As per the contract of Hathurusingha with SLC, he is entitled to submit two such assessment reports in a year at the cost of 120,000 US dollars, the website further notes. The website had quoted a former SLC President as to saying, “This is disgusting. And a national crime to rob that much money from the SLC for mere an assessment report. In addition, he gets millions of rupees every month as salary. It proves that SLC’s interest and priority only is Hathurasingha. With this money, SLC could have arranged half a dozen overseas tours for A or emerging teams and could have developed the game in the Island”. In December 2017, then SLC President Thilanga Sumathipala brought in Hathurusingha from the Bangladesh and had appointed him as the head coach of Sri Lanka, making him world’s third highest paid coach after England’s Trevor Bayliss and India’s Ravi Shastri with a monthly salary of 6 million. Currently, Hathurusingha is in the middle of his two years contract with Sri Lanka Cricket Board (SLC). Despite his high fees, Sri Lanka slipped significantly in world cricket, with embarrassing defeats against lower ranked teams like Afghanistan and Bangladesh. In addition his tenure is also marred by off field controversies.